Hi everyone! 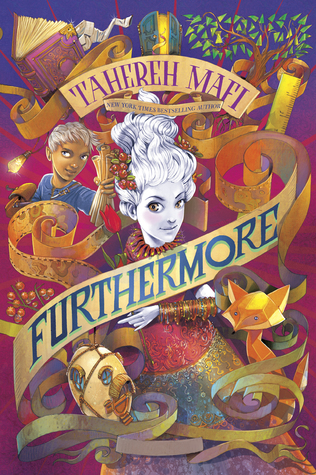 We just wanted to let you all know how excited we are to be part of the FURTHERMORE by Tahereh Mafi Blog Tour! Below is the synopsis of the book, pre-order links and Tahereh's Book Tour Schedule! And guess what? She will also be tour with her uber talented husband, Ransom Riggs! Tahereh Mafi is the New York Times and USA Today bestselling author of the SHATTER ME series. (You can learn how to pronounce her name here.) She was born in a small city somewhere in Connecticut and currently resides in Santa Monica, California with her husband, fellow author Ransom Riggs. She can usually be found over-caffeinated and stuck in a book. SHATTER ME is her first series, with television rights optioned by ABC Signature Studios; FURTHERMORE, her newest project, will be out on August 30th, 2016. Her work is represented by Jodi Reamer of Writers House, LLC.